NAMI Connecticut provides support, education, and advocacy for all Connecticut citizens affected by mental illness. Kate Mattias joined NAMI Connecticut as Executive Director in 2006. She found NAMI Connecticut as a family member, in late 1999. Kate has a Master's in Public Health from Columbia University and a law degree from Quinnipiac University School of Law. Since joining NAMI Connecticut her focus has been on growing the organization so it can continue to provide help and hope to people living with mental health conditions, family members, professionals and the community at large. During her tenure, in addition to implementing important national programs like Family to Family, both community and professional education programs have grown, including Parents and Teachers as Allies, Ending the Silence, and NAMI Basics. Kate is dedicated to individuals and families knowing they are not alone in their struggles with psychiatric conditions. 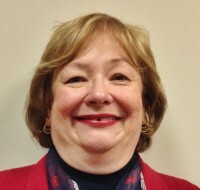 Susan Kelley is Director of Policy and Advocacy at NAMI Connecticut. She leads our adult and children public policy programs, including the Alliance for Children’s Mental Health (ACMH), a statewide collective advocacy program at NAMI Connecticut. She formerly served as staff to the Keep the Promise Children’s Committee, the predecessor organization to ACMH. Prior to joining NAMI Connecticut, Susan practiced public interest law, representing children and parents in child welfare/juvenile matters in Northern California. She also developed online programs on child abuse reporting laws and child abuse prevention for children and educators. Susan brings to NAMI Connecticut over 15 years combined experience in child welfare/juvenile and public interest law, child and family advocacy, and service on non-profit boards. She received her law degree from the University of San Francisco Law School, and has a BA in English Literature from Princeton University. 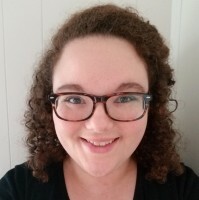 Valerie Lepoutre is the Young Adult Coordinator at NAMI Connecticut. Valerie is a certified Recovery Support Specialist who brings her own personal lived experience to her work to inspire, advocate, and educate others about mental health and suicide awareness. In addition to managing all of the Young Adult related programs at NAMI Connecticut, she also partners with many other young adult initiatives and organizations across the state. Her goal is to increase peer-support services for emerging adults and offer hope to those affected by mental illness and suicide loss. Shauna Pangilinan directs development for NAMI Connecticut, providing strategic leadership to support the organization’s mission. 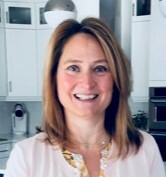 She has over 25 years’ experience in healthcare and 15 years’ experience in developing innovative philanthropic programs for complex health systems and securing funding for statewide and regional behavioral health initiatives including addressing health disparities, integration of behavioral health in primary care, and holistic therapies for people in recovery. She believes that financial resources should not be a barrier to recovery for people living with a mental health condition, and that transformational change in addressing mental health conditions will happen when more people with lived experience emerge and get involved. Shauna invites you to contact her and share your story. Louise Pyers, M.S. is the Criminal Justice Project Director and CIT Liaison. Louise helps families navigate the criminal justice system, provides logistical support for the Crisis Intervention Training and works with our civilian mental health providers to encourage strong police-mental health partnerships. She also works within other criminal justice agencies to collaboratively develop effective training on mental health issues. Paloma R Bayona is the Program Director and joined NAMI in 2006. She oversees the Family & Professional education programs as well as the Support Groups. She is very proud of her work with NAMI Connecticut and she will continue to work for those who need her stand up at a time they are not able to. Her focus is to expand resources, provide support, educate family members and people living with mental illness, the public, professional and the community as well as to break down bias and end discrimination. Don Fischer serves as NAMI Connecticut’s Recovery Programs Coordinator. He started volunteering for NAMI Connecticut in 2000 and had been a member of an affiliate board and later and the NAMI Connecticut board prior to joining the staff 2007. Don is also facilitator for NAMI Connection Recovery Support Groups and one of the original In-Our-Own-Voice presenters. Thomas Burr has been a member of NAMI for over 15 years, and a member of the NAMI Connecticut staff since February 2011. 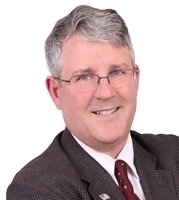 He has also served as a volunteer on both the NAMI Connecticut and NAMI Manchester Affiliate Boards; and is the former Board President of the Manchester Affiliate. His current focus is to help everyone in the State of Connecticut know about NAMI and what we provide to help folks affected by mental health challenges, as well as assisting our network of local NAMI Affiliates bring the entire spectrum of NAMI signature programs to their communities. Iris Alamo joined the NAMI Connecticut family in 2004 as a staff person, member and volunteer. She is currently the Manager of Member and Donor Relations which consists of collaborating with all local affiliates and the National office regarding membership processing, outreach and retention. Donor tracking and seeking out potentional donors and aquisition of in-kind donations is also part of her role. She also has been a co-Walk Manager, planning, coordinating and organizing NAMI Connecticut's biggest fundraiser, the NAMI Connecticut Walk for the last 15 Walks. Previously, for 7 years she held a seat on the NAMI Hartford affiliate board. Paul Brainerd is the Provider Education Coordinator at NAMI Connecticut. Paul manages the Perspectives course, which offers essential insight for Mental Health Providers and their front line staff. It incorporates and encourages collaboration between the providers, their patients and families into the process and stages of treating mental illness..
Pat O’Konis joined the office staff in 2014 as a volunteer helping Staff with social media and email communications. A few months later her volunteer role expanded to include administrative assistant duties for the Hartford office. Since then, Pat has become a Family to Family teacher, Ending the Silence presenter and Family Support Group Facilitator. She also assists Paloma Bayona, Program Director, with class registrations and class materials fulfillment. We offer support, education, and advocacy to people living with mental illnesses, their family members, friends, professionals and the public at large. Please find the complete list of NAMI bylaws in the document below. Thank you! We have received your submission and will be in touch.